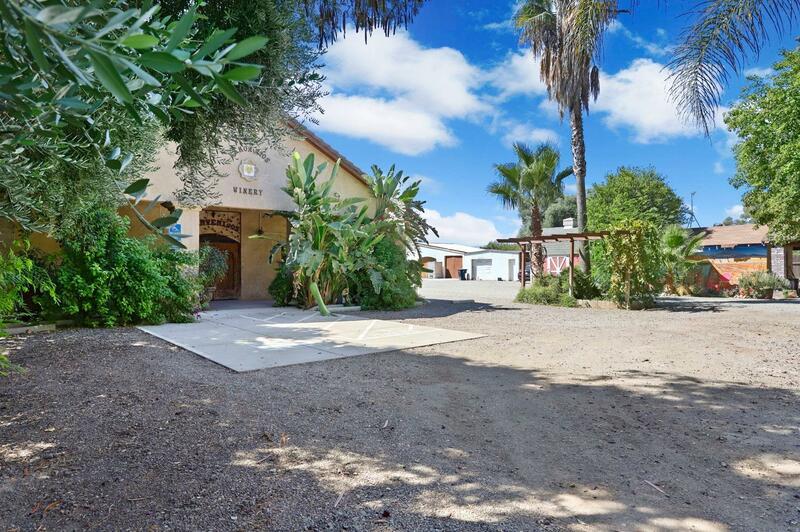 This 5 acre property has a beautiful functional area for events, a winery and tasting room, outbuildings and a small house.The most important part of all this is the event area. In a city where event space is very very desirable, this is a golden opportunity. This property has a residential home, a commercially zoned front area and is zoned agriculture in the back of the property. Come to see all that is offered here and the gorgeous and tranquil view of the hills! !